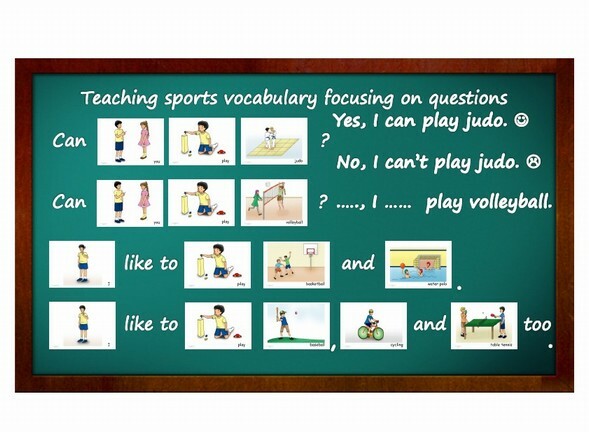 Introduce sports vocabulary to students first. After students have learned different sports you can ask random questions such as: Can you play basketball? Do you like to play football? Who can play tennis? e.g.. Students answer “Yes, I can …. “, when they can do the action or “No. I cannot ….”, when they cannot do the action, “Yes, I do like to play football” or “I can play tennis”. 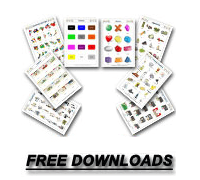 Car Race - Arrange the flash cards in a long line with starting and finishing points. Give each student a counter. The first student throws the dice and moves. The student must say the word on the flashcard they land on. If the student makes a mistake, they go back to start. Add colored paper between cards to represent "take another turn" and assign a crash number like #4 on the dice which means the student must return to the beginning.